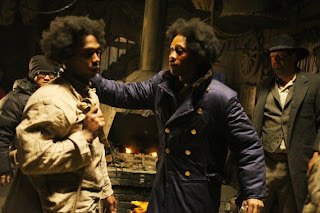 The Short Version: Rap star RZA's directing debut is a nonsensical mess, but several scenes show he at least has more focus and love for the genre than director Quentin Tarantino, who lent his name as "presenter" to this picture. There's a few dozen nods to Shaw Brothers movies here and probably more in the longer 4 hour version. At 96 minutes, it's as confusing as a Chu Yuan swordplay feature, but with no source material for familiarization. Corey Yuen's choreography is ravaged by sloppy editing and too many close ups. Aside from a few good moments, this is a safer bet as a rental. A Blacksmith living in Jungle Village gets caught up in the middle of a clan feud between multiple factions battling for supremacy and control over a massive cache of gold. The RZA, one of the heads of the rap group Wu Tang Clan, directs, co-writes, stars in, and contributes music to his tribute to martial arts movies in this plotless, confusing beyond reason motion picture. Eli Roth helped him write it, as well as contributing as a producer. It was a nice try, but this 96 minute version of what was reportedly a 4 hour film just doesn't cut it in its current form. Even as it is, the fight scenes, the life-blood of these movies, are frequently un-engaging and lack punch. This is shocking considering Corey Yuen designed them. 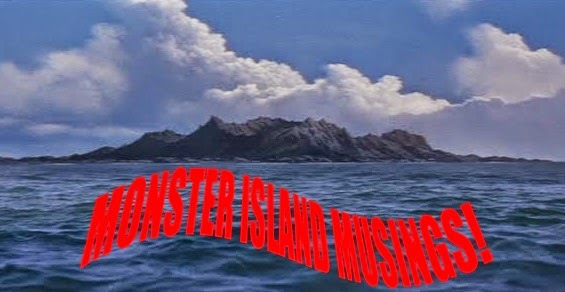 However, this seems more to do with Joe D'Augustine's editing and too many tight shots than anything else. The confusion stems from a plot that is typical Martial World iconography replete with alliances, betrayals and dozens of characters that are far too easy to lose track of. At 96 minutes, people come and go rather quickly and even the ones given a lot of screen time seem to have little to no purpose except to move the film along to its conclusion. Diehard kung fu fans will have a field day picking out the bits and pieces that are apparently homages to numerous Shaw Brothers productions. There are also a few familiar faces from those classic Shaw pictures, even if their screen time is severely limited. 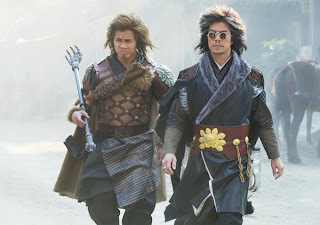 Former Shaw superstars Chen Kuan Tai (BOXER FROM SHANTUNG , HEROES TWO ) and Liang Chia Jen (SHAOLIN MARTIAL ARTS , SECRET SERVICE OF THE IMPERIAL COURT ) have maybe five minutes tops at the beginning of the movie. Former K-1 superstar and current MMA practitioner Cung Le has dove headlong into doing movies the last few years. Considering he is now 40 years old, it's a logical, and profitable transition for him. 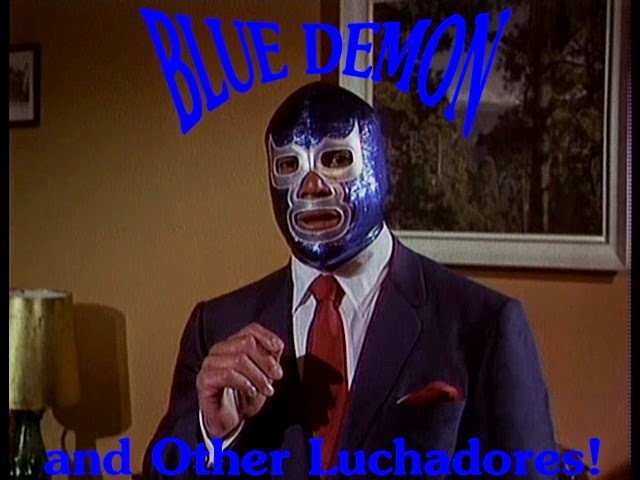 Unfortunately, the haphazard editing wrecks havoc with his fight scenes. His Bronze Lion character (there's a whole Lion clan, actually) recalls the similarly attired Lion Man from THUNDERCLAP ( only the Lion Man actually looked like a lion in the face), one of dozens of 'Clan vs. Clan' movies, and one of the Shaw's last theatrically released films before they ceased making movies; leasing their vast studios out while they focused on television productions. A character called Brass Body (played by WWE wrestler Dave Bautista) seems a variation on Lo Mang's Iron Skin warrior of the Poison Clan from the seminal FIVE VENOMS from 1978. It's also a famous kung fu movie plot device to have a steel skin fighter with but a single weak spot that will cause the fighter to lose his power. Brass Body's weak spot is neither in the eyes, the mouth, or groin as popularly seen in older HK kung fu movies. A brief scene in a wooded area recalls FIVE ELEMENT NINJAS (1982) as does the finale; Only there, it's Lucy Liu's character mimicking a key sequence from Chang Cheh's fantastic bloodbath wherein Chen Hui Min and a squad of ninjas covertly enter an enemy encampment and annihilate the inhabitants. Gordon Liu is in the film for about ten minutes; long enough to emulate his iconic role from THE 36TH CHAMBER OF SHAOLIN (1978). Another classic Gordon Liu moment is reconstructed by RZA himself. It's a flashback sequence detailing how he ended up in China and taken in by the monks of a temple. With a large razor, he roughly shaves his own head in a similar fashion that Gordon did to his own mane in Liu Chia Liang's spectacularly gloomy THE 8 DIAGRAM POLE FIGHTER (1984). There's also a nod to the weapon immortalized in Shaw's THE FLYING GUILLOTINE (1975) and its many spin-offs. In another, one of the main villains uses a weapon akin to Ku Feng's golden talons from AVENGING EAGLE (1978) among other possible influences. Considering there's so much adoration of the Shaw style here, the world renowned studio is also evoked in the many examples of elaborate weaponry on display. RZA's Blacksmith character is lifted wholesale from Chang Cheh's uneven LIFE GAMBLE (1979). 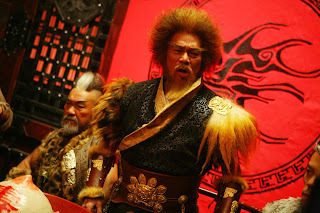 In that film, the Blacksmith -- the central character played by Kuo Chui -- was approached to make assorted weapons for various clans and fighters. 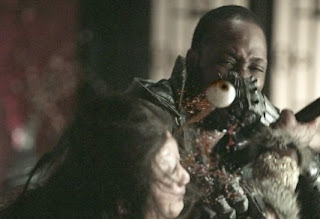 For MAN WITH THE IRON FISTS, it's the same trajectory. Zhen Yi, one of the main protagonists, is covered in battle armor with numerous porcupine-like blades that spring out all over his body. His shoe knife brought to mind Taiwanese Tae Kwan Do specialist and member of the Venoms, Sun Chien's hidden shoe blade from Chang Cheh's KILLER ARMY (1980). The part of the film where the Iron Fists of the title comes into play is highly reminiscent of Lu Feng's Iron Hands from CRIPPLED AVENGERS (1978). 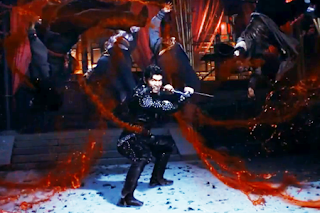 In it, Lu's character has his arms chopped off by enemies of his father (played by Chen Kuan Tai). A blacksmith fashions Iron appendages for him that also fire darts with hands that extend outward. Unfortunately, all RZA's hands do are light up with the assist of CGI and do lots of cartoonish CGI damage. The finale between Rick Yune and Byron Mann (who bears a resemblance to Wong Tao) partially takes place in a room elaborately adorned with mirrors that recalls 1973s ENTER THE DRAGON. Also in the finale, we're told that this dungeon area is littered with assorted deadly traps, yet we never see any of them. This being a Wuxia style movie, the allusion towards secret passageways and death traps are straight from the Chu Yuan swordplay-book; a genre style he reinvigorated in 1976 with the release of KILLER CLANS and others like THE MAGIC BLADE and THE WEB OF DEATH (all 1976). 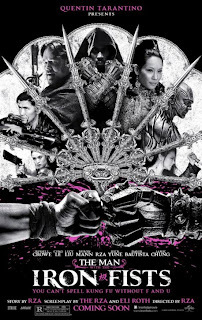 After having seen THE RAID (2011) with its stunningly brutal action design, the choreography of MAN WITH THE IRON FISTS (2012) is rudimentary by comparison. 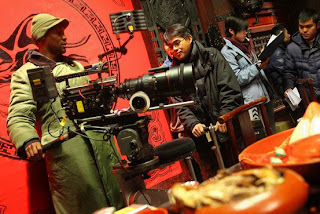 But again, this appears to be more the fault of the cinematographer and editor than Corey Yuen's. 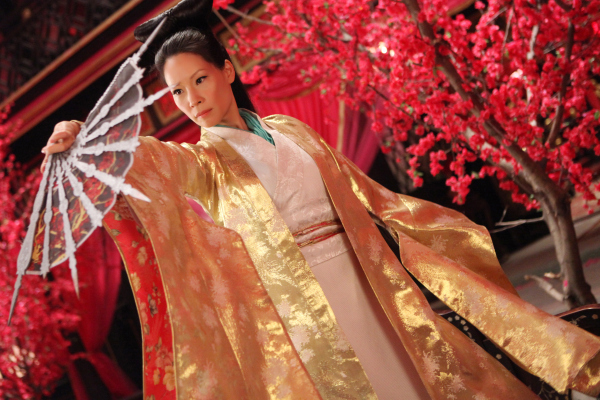 Astonishingly, the DP was an Asian, yet Chi Ying Chan shoots the action so close, it's difficult to ascertain what is happening at times. To top it off, the editing rarely offers a glimpse at any move sets. Some characters have barely thrown a kick or a punch before it cuts away to something else. The only action scene that we're allowed to "see" is an alley fight between Rick Yune and Dave Bautista's character. There are other fleeting moments here and there that show a sign of a spark, but again, the camera and editing does them in. Fortunately, there's none of that shaky cam indulgence that every other movie revels in, it's just very little of the action is allowed to breathe. Considering that RZA is a big fan of Robert Tai's style of wacko action choreo, I am befuddled that he didn't hire him for the job. 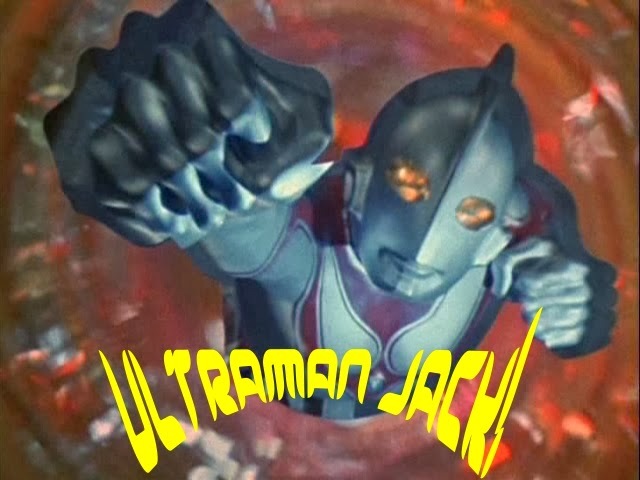 The occasional loopiness and chaotic nature of of the film reminded me of Tai's unrestrained work at times. Equally disappointing is the finale. There's no actual end fight between Rick Yune and Byron Mann. Russell Crowe and Daniel Wu "square off", but that's not a fight, either. 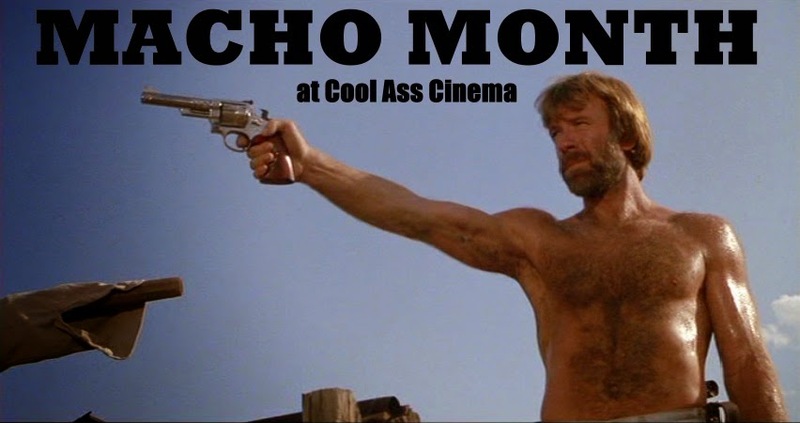 It's odd to see a film that's supposed to pay tribute to kung fu movies that doesn't even bathe in the art itself. 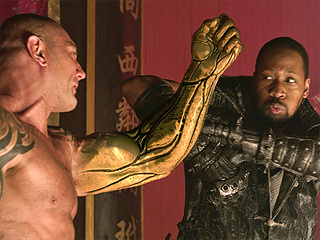 Only RZA and Dave Bautista engage in something resembling a battle at the end (two Americans! ), and limitations are covered up by CGI masking the simplistic kick/punch combos. 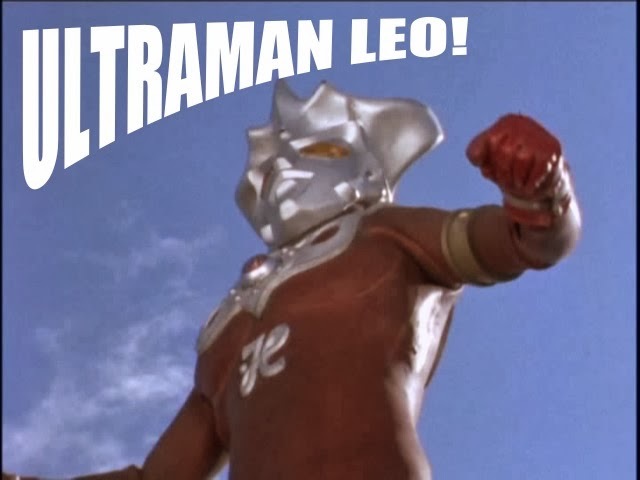 It should also be mentioned the CGI is some of the lousiest I've ever seen. I am not a fan of rap music at all, and this being RZA's movie, there's lots of hip hop lacing some of the fight scenes, but not always. The orchestral portions are actually incredibly good at setting the tempo leading up to big events, even if the payoff itself is less than the sum of its parts. One particularly satisfying musical moment has a redone version of the main theme from Chang Cheh's HOUSE OF TRAPS (1981) playing over a scene. The music does occasionally make some scenes more risible, and RZA honestly manages a good deal of pathos in a few of these scenes. But again, considering there's two and a half hours missing, this is all there is to go by. 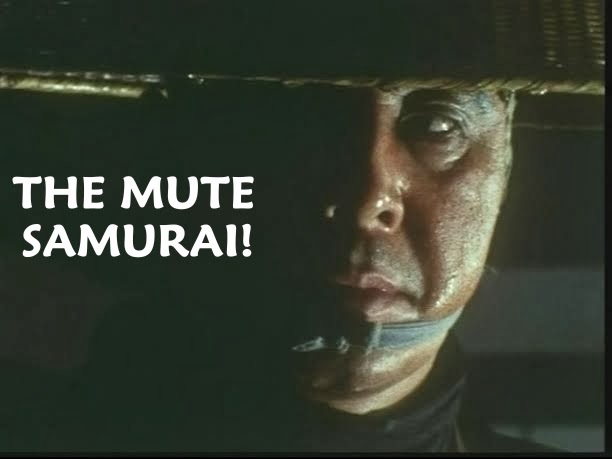 One of the best scenes doesn't even involve any kung fu at all. It's a flashback wherein we learn how RZA's character ended up in China. His freedom was given to him by his mother's owner back in slave times. 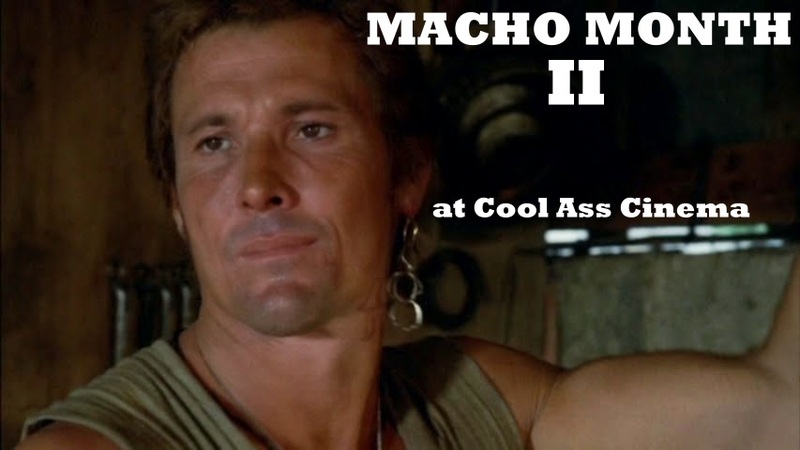 His mother is played by none other than Pam Grier. He ends up in a scuffle with two white men in a stable before stowing away on a ship that wrecks somewhere off the coast of China. There are a couple other good scenes spread throughout; unfortunately, virtually none of them involve action. The acting is okay, even though it's bizarre to see everything is in Chinese, yet every major Asian character speaks nothing but English, and better English than most Westerners. 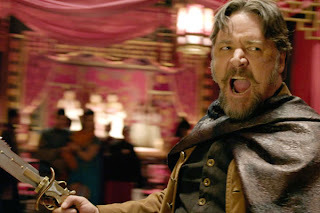 Russell Crowe comes out on top here, delivering his lines as if he's gunning for an Academy Award. 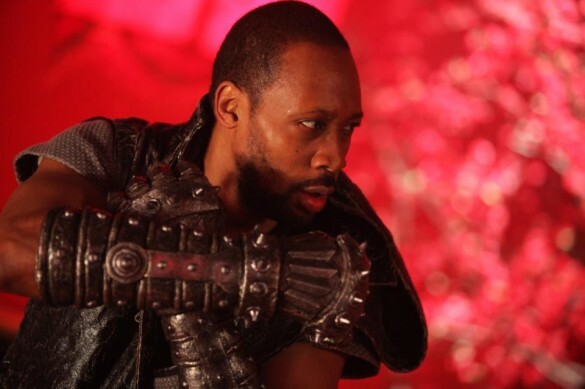 RZA, who is the main character, doesn't really feel like he's the main character. He seems nervous being in front of the camera and his expressionless face keeps him from standing out as the guy the movie is named after. In closing, the overall silliness of THE MAN WITH THE IRON FISTS often feels more like a Robert Tai flick (there was sunglasses in ancient China?) than a Chang Cheh blood and guts fest. I honestly expected to see giant flying spiders emerge from a nearby river at some point, but thankfully, that never happened. The directors passion for the material does shine through on occasion. Unfortunately, not enough of this ended up onscreen. Very thoughtful review as always. Although it received mixed reviews so far, most of which negative, I still want to see it bad, because it looks so my cup of tea. I don't expect amazing Raid-like choreography and deep story, but it should be lots of fun, plus, judging from the trailers the visuals are quite stunning too. Well, that's good enough for me to check it out. Great review! I've heard great things about both Russell Crowe and Byron Mann as far as how over the top and menacing they are, which was the main selling point for me in wanting to see the movie. Hopefully I can squeeze in a viewing before it gets pulled from theaters, but I won't be heartbroken if I don't make it. You did a great job of breaking the movie down and pointing out the references and nods to old HK movies. Good job. @ George: Hi, George! I hope you enjoy it. I went into it expecting to not like it, so my expectations were met. Still, I thought I was very lenient in my opinion considering the star and director is no doubt devoted to the genre. I look forward to your thoughts on this one, of course. @ Aaron: Thanks for your kind remarks! I probably missed a few things since I wrote it the day after seeing it. I hope you enjoy it, too. If a more complete version is made available, I'd be up for checking it out again. It's sort of reminiscent of Robert Tai's gaudy as all hell NINJA THE FINAL which was somewhere between 8 to 10 hours and the most readily available cut on DVD is 90 minutes!